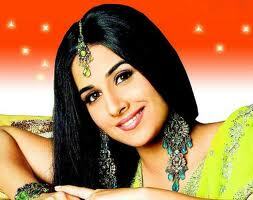 This page has Pictures, Images and Profiles of famous Vidya Balan. To see more Actresses like Vidya Balan click here : Aishwarya, Suraiya, Ranjani, Karishma Kapoor, Ileana, Simran, Bhavana, Kavya Madhavan, Madhuri, Gopika, Navya Nair, Padmapriya, Shakeela, Nayanthara, Karthika. 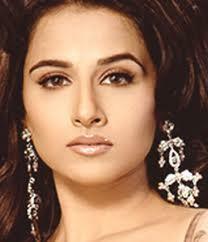 Vidya Balan was born on 1st January 1978, in Ottapalam, Palakkad, Kerala, to father P.R. Balan and housewife mother. Vidya has an older sister Priya. Vidya Balan spent some childhood years in Kerala and then moved onto Mumbai where she did her schooling at St Anthony's High School, moving onto St Xaviers College where she majored in Sociology. Vidya Balan then went on to study for her MA at University of Mumbai when she was spotted, and recieved her first film offer. Vidya Balan's first ever film that she was signed up for was a Malayalam film 'Chakaram' co-starring Mohanlal - Vidya's most favourite actor. Unfortunately for Vidya this film was subsequently shelved. Vidya was then signed for a Tamil film 'Run', and after the first schedule Vidya was dropped, for undisclosed reasons, and Meera Jasmine was chosen in her stead. Meera Jasmine again got the upper hand over Vidya when the film Chakram was restarted with Prithviraj as the lead actor with Meera as his co-star. From 1998 onwards, Vidya Balan turned to television advertising. Many of these ads were directed by Pradeep Sarkar. She also took to appearing in music videos, with bands and singers including Euphoria, Shuba Mudgal, and Pankaj Udhas. Vidya Balan got her break in the film industry with her 2003 Bengali film Bhalo Theko, directed by Gautam Halder. Later in 2005, she leading lady in the film Parineeta. The film won Vidya the Anandalok Puraskar Best Actress award in Kolkata. This was the film that really launched Vidya into the publics imagination and made directors and producers alike sit up and take notice. After the success of these two films, the producer who had earlier dropped her from Manasellam, was keen to sign her for the film Dasavathaaram - which Vidya politely declined from, and subsequently a fellow keralite; Asin, was signed up for the role. The film Parineeta was followed by another commercial success in 2006 Lage Raho Munna Bhai - this film became the second biggest grossing film of the year. 2007 was a busy year for Vidya Balan. She was in Guru, Salaam-e-Ishq: a Tribute to Love, Eklaavya: The Royal Guard, Heyy Baby and Bhool Bhulaiyaa. These were all big commercial hits, and in particular Vidya's role in the film Eklaavya: The Royal Guard, was selected as India's official entry to the Oscar's for the 80th Academy Awards. On her 30th birthday, the shy actress celebrated it with her family. Vidya shares the popular keralean belief that whatever routine you follow at the beginning of the year, thats what you will end up doing for the rest of the year too. So Vidya claims to try and keep every birthday very busy. Even though Vidya has been linked to many co-stars and famous celebrities, the actress has never admitted to any of the liasons, and has dismissed them as idle gossip.